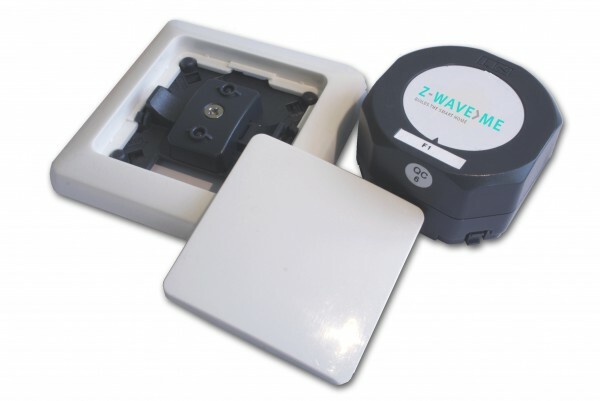 Product information "Z-Wave.Me Switch Insert Kit for Duwi EVERLUX"
The Z-Wave.Me switch insert kit contains a wireless actuator as flush-mounted insert, a rocker switch as well as an installation frame. The insert switches connected electrical loads with up to 300W and reactive current up to 300VA. Simultaneously, every local switch action will be reported to an existing smart home gateway. Additionally, the rocker switch can be also used to activate complex scenes within the Z-Wave network. Installation frame and rocker switch are compatible to EVERLUX switch design by Duwi. The insert can be installed also without visible button in a 60mm diameter wall box, false ceilings or lamps. Related links to "Z-Wave.Me Switch Insert Kit for Duwi EVERLUX"